February 2010 | To Be, To Be. Tutubi. My kid's all time favorite song is Rey Valera's I Love You Too, sung by yours truly! I even recorded this song on my cellphone so that they can just play it when my voice is not, umm, up to the task. And it sometimes is, when I have to sing the song maybe 3 times before they would let me sleep. Growing up, they each have a favorite lullaby. When Drexelle was a baby, we used to play his tape of Bananas and Pajamas and he can go to sleep all by himself. For Danniel, I had to sing Six Little Ducks to him over and over again. And for Ishi, she would let me choose a song to sing to her and I would always end up singing I Love You Too. 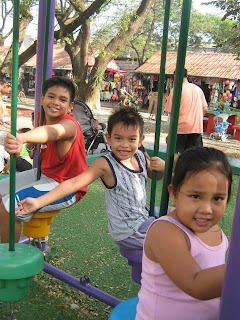 They are so big now, my eldest is turning 12 this year, but they still ask me to sing to them sometimes. Just last night, I was singing Tok Tok Tilaok to Ishi because she remembered a horror movie we watched and cant seem to forget it. Despite my grating voice, my kids love and adore my singing. As they should, as the voice is coming from a mom's heart! 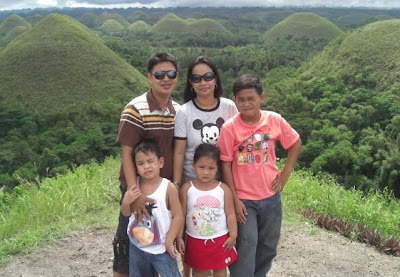 Panahon na naman ng pagtatapos at nais ko lamang ipagyabang (he, he) ang husay ng aking anak na si Danniel. 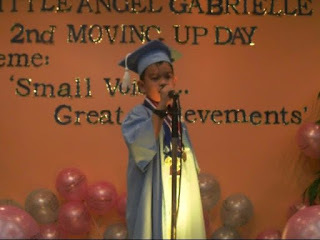 Nuong ay Kinder ay Top 1 siya kahit na medyo mahiyaing bata pa. Naalala ko nga na sa likod siya inligay nuong group presentation nila dahil baka daw hindi sumabay sa kanta. Mabuti naman at sumali naman siya. Nuong Preparatory naman ay siya din ang top studend. Heto siya ng nagbigay ng kanyang valedictory address. Hindi na rin siya mahiyain dyan sa larawan na yan. At ngayong siya ay nasa Grade 1 ay achiever naman siya ulit. Opo, proud na proud po ako sa husay ng aking anak. Ako nga ay nagtataka kung kanino nagmana, ahem ahem. Pero sadyang ang bilis ng panahon ano? Parang konting panahon na lang at baka tapos na siya ng kolehiyo? You've Got A Friend? Not! This comment from a friend : Wala ka bang ibang friends maliban sa amin ni Rona? It came out during a conversation regarding a business venture we recently joined. I told her I don't have anyone else to bring, thus the question. This made me really think hard. And I tried counting on my fingers the number of friends that would come to my aid for anything and I can only think of 5, and one is my sister. The two others are my office mates. Not that those five are not enough because they are. They have been with me during the lowest and highest points of my life. But who do you really call friends, and does the quantity really matter? One of my bosses said that it is easy to have many friends and to be a good friend during good times. 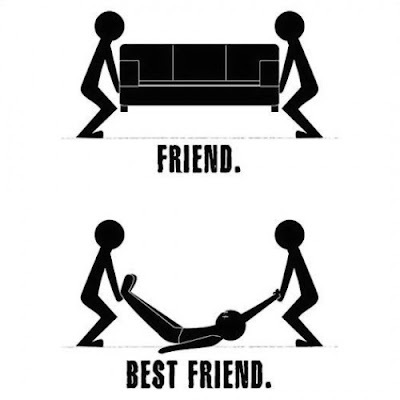 But during times of need, only true friends will be there. As an aside, I realize that I don't make friends easily. I do not open up that much and I do not know how to become a good friend. 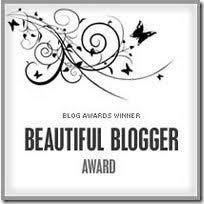 I do not attend blogging events or blogger get together because I am afraid that I may not be good enough or interesting enough. I tried signing up once to a get together and backed off at the last moment. Sometimes, I would even beg-off meeting high school friends because I am afraid there is not much to talk about. I do not find myself interesting at all. And I see acquaintances here in the office who will not give me a second glance on the hallways and in the elevator. There was even an instance when somebody whom I have been in several meetings and site visits with, just passed me by at the mall. Well, I am not sure she saw me, but do you get the idea? Even the girl selling peanut butter doesn't seem to remember me even after I have ordered 3 bottles already! So while I think I only have a few friends, I really do not know how to make new ones. While I really don't let it bother me much, there are times when I do. We once rented a room in Sta Mesa and all of my room mates are friends with the neighbors except me. And now, I have lived in this place for 10 years now but don't think I hame made any friends. 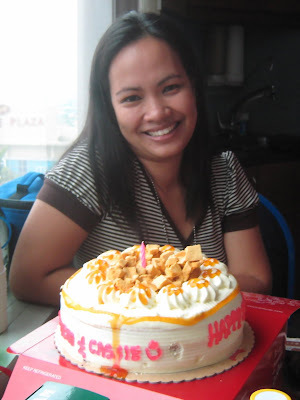 do smile at our neighbors and give them pansit during birthdays but I don't usually stay to chat. Except to say hello, or to ask how they have been. So what would you says is my problem here? It is nice to wake up to an affirmation that somebody out there thinks you are beautiful! A big thanks to Chris and acmomcee for giving me this award! Now I really feel beautiful, despite the weight gain, ha ha! 1. I love my husband and kids and thinks the world of them. 2. I love to read and I sometimes check out the ending of a story to spare me the heart attack. 3. I love cooking, but cooking does'nt seem to love me back! 4. I would rather do the laundry than the ironing. 5. I hate clutter and a dirty kitchen. 6. I love kamote fries. I completely forgot about this photo and only saw it again today. 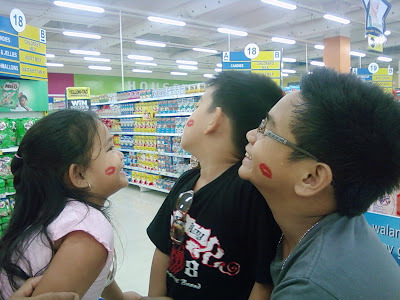 It was taken last Sunday, Valentine's Day, when we went to the grocery to buy some stuff for the house. This was in Savemore at Mezza, which is now my favorite grocery store. There were few people, almost as if we had the whole store to ourselves! The kids had fun being "kissed" by one of the staff and they gamely posed for this picture. There was also a nutritionist from Nestle who weighed and measured my kids and after some computations, announced them all to be overweight! She shared some tips on how to maintain a healthy weight for them and gave me a weekly meal planner which I instantly liked. But my husband left it, together with the food charts for my kids in the grocery cart! Sometimes, I hope we are computers and can work on a directory sync so that we will get exactly what each other mean. Anyway, it was a productive, lazy Sunday afternoon for us, even when we just went to the grocery store. I just love how my kids can be entertained so easily. We have recently been invited to join a growing business opportunity that could make us rich. Yes, it could really make us rich. Would you believe that in less than a month, we will be able to recover our cash investment? And that income will surely come in as long as we continue endorsing the product? You may call it networking, but I call it a wise investment! I am thinking of getting a business hosting once I am done creating the blog for this. I am not searching the materials and scanning the handouts so I can already upload them. I just hope that it will be an informative one that could make people like the product and the income opportunity as much as we did. I am actually very excited about this venture. There is a remarkable change in my husband's personality as he try to explain the idea behind the business. His enthusiasm is not dampened by criticisms and I am happy about this. He is indeed serious, even if this is just a part-time income opportunity for us. I hope that he can sustain this momentum. It's a good thing that we have a good team of people backing us up. I will keep the business a surprise for all you until I have the site up and running! We are not big on Valentine's day celebration and I do not make much "demands" from my husband. I just told him that instead of flowers, I would prefer he give me cash instead, he he. Unfortunately, he took me on my words, well sort of. See, we ran out of LPG on Valentine's day and I told him to pay first as I still have to withdraw. Then, later that day he said that there is no need for me to pay him back as that is his valentines gift to me already. Grrr! He could be so irritating sometimes! Anyway, good thing my little girl gave me this card below. She saved the day for me! My boys I think took after their dad and have no romantic bones on their body, ha ha. But they did kissed me and greeted me a happy valentine's so all is good anyway. 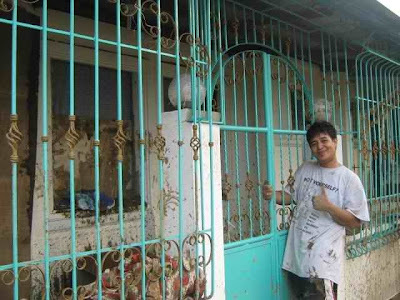 Eto ang aming dream house. Ang ganda di ba? Hindi pa nga tapos yan e. Pilit naming itinatayo yan sa kabila ng hirap ng buhay. 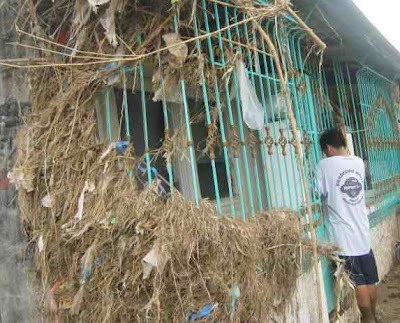 Pangarap kasi naming magkaroon ng sariling bahay e. Kaso dumating si Ondoy. Kaya heto na siya ngayon. Oo, nagkaroon ng batik ang aming pangarap. Namantsahan ang aming pangarap. Pero susuko ba kami? Sabi ng aking mabait na mister, pagsubok lang yan. Kayang kaya nating bumangon at buoin muli ang namantshang pangarap! Mahirap, oo, pero wala namang hindi kaya basta't sisikapin hindi ba? Ganyan naman tayong mga pinoy hindi ba? This week's Mommy Moments theme is Message of Love and I would like to share with you my message to my family. To my husband, I love you. I know you are not perfect, but you are perfect for me. I admire your patience and understanding and for putting up with me all through this years. There may still be rough times ahead, but I am willing to go through anything for you and our family. I am very glad that I have found you in my life. If I have to do this all over again, it will still be you. To my eldest Drexelle, thank you for being a very sweet child. I learned so much from you as a mother and as person. Your siblings are lucky because I had you first and you taught me how to become a better mother. I am sorry for being hard on you sometimes; I just want you to grow up to become a responsible person. I feel so blessed to have you in my life. To Danniel, my sweet-tempered child. I love you for your kind spirit and for always keeping the peace amongst your siblings. I know that you are very intelligent and will become successful in the future. But now, I am just happy that you complete our life. 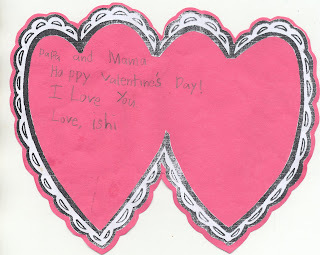 To my daughter Ishi, I love you. Thank you for giving me butterfly kisses at night. And for telling me we are both pango. And for the nose-to-nose. And for everything. I know that you have a strong personality, not too strong I hope that you take it out on your Kuya's, just because Daddy is always on your side. I am grateful that you are a very good kid, and very sweet as well. Opo, 2-in-1 po ang entry ko today. Nahuli kasi ako last week kaya sinabay ko na ngayon. 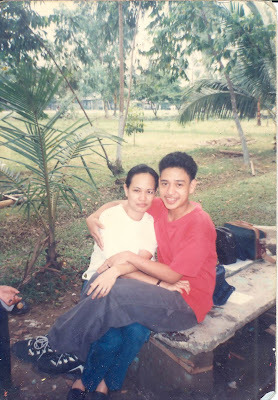 Ang nasa larawan po ay ako at ang aking mister of 12 years. Nung kinuha ang larawan ay mga bata pa kami, estudyante, at wala pa siguro sa hinagap namin na forever, ako ay iyo at ikaw ang akin na ang magiging drama namin. Ngayon ay may 3 bunga na ang aming pagmamahalan at sadya namang masarap ang buhay kapag kapiling mo ang iyong mahal! I have never been stuck in an elevator so the term does not really put the fear of God in me. But this morning, on my way up to the 42nd floor of our building where I work, the elevator lurched and we were again brought down. It was not the same as being stuck in an elevator, but I almost had a heart attack. I clutched the railing as if my life depended on it, and looked nonchalantly at the elevator operator while deep inside my heart was hammering like crazy! Those who were not able to ride up with us the first time were just laughing at us. Maybe I looked more scared than I really cared to admit. I guess I have to get a temporary insurance even only for Tuesdays! But that's not just it. I had an impacted tooth pulled out last Friday and now I know why some people dread dentists! The tooth gave a huge and bloody fight, but came out anyway after almost three hours. I wonder why it had to grow in the first place when all it would ever do was let me experience the pain. Actually, there was not much pain during the operation. It was the after that took its toll. My mouth felt battered, what with the pulling and all to expose the tooth. My throat felt sore because of the saline solution, and I was a little queasy after seeing the bloody pictures. And why do I blame Tuesdays instead of Fridays when it happened? Well, its only today that I discovered that I already ate the thread used to stitch my gum's! Ewww, I know! So if only I can skip Tuesdays and go straight to Fridays! 33 Reasons Why I Love Being Me! Today is my birthday and I am thankful for all the years that I have lived, happily, with my family, friends and loved ones. I honestly do not feel my years, in fact, I feel young and very much alive. I guess, when you are happy, age really doesn't bother you much. So I wrote down 33 reasons, in no particular order, why I love being me! 1. I am married to a very wonderful man for 12 years now. 2. I have 3 of the sweetest kids in the world. 3. I have the best mother once can ever ask for. 4. I have 2 very supportive sisters others can only wish for. 5. I have very great friends I can call on for anything, anytime. 7. and the best bosses in the whole world! 8. I have 4 blogs I where I can share my insights, useful or otherwise to those who care to read them. 9. I have a good collection of books: loaned, gifted or bought. 10. 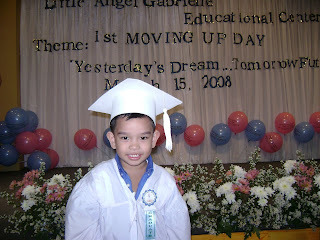 My eldest is graduating in elementary this March. He is 12. And I am 33. When he marries and have a child, I will be a very young Lola! 11.I love this Valentine's Day Gift ideas for Romantics. I hope my husband reads this and gets an idea of what he can get me for valentine's. 12. My weight in pounds (+ 100) is the same as my age! Ha ha ha! I lie. I weight more. 13. But I am working on it everyday. I run, I walk, and I eat moderately. Except today. 14. I climbed one mountain last year and I plan to climb another one this year. And I can do it too! 15. 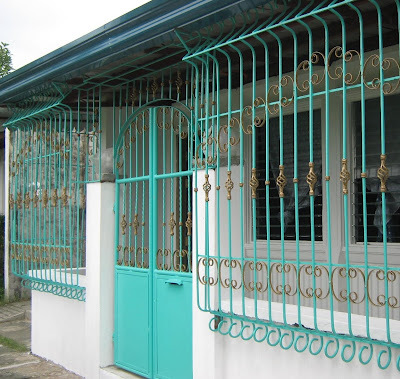 I have an ongoing dream-house project. 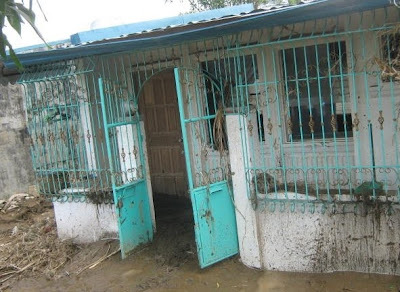 Though ravaged by a typhoon, the dream lives on..
16. I have developed a high tolerance for stupid people. But only during my birthday. 17. I laugh and cry, shamelessly, when reading books or watching movies alone. 18. I do not apologize for being me. What you see is what you get. 19. Sometimes, I just don't care. Sometimes, I care too much. 20. I love making lists, even as long as this one. But I am running out of reasons. 21. I love cakes and ice creams and balloons and all of these made my day today. 22. I sometimes am afraid to tell people I love them. But I know that those who matters most to me, knows already. 23. I forgive but I don't forget. 24. I hide my insecurity behind a sense of humor. I hope it doesn't show much. 25. I love watching cooking shows. But I can't stand to watch reality and talent shows. It just isn't in me. 26. I am not a people person. But I am not a snob. But what does that mean anyway? 27. I can be mean. But I try very hard not to. 28. I get even. I sometimes try to turn the other cheek, but its hard. 29. My husband said he loves me, and I believe him because I feel it. 30. My kids kiss me goodnight when I am first to go to bed and they are waiting up for their dad. How sweet is that? 31. I am not fond on movies made from books, unless I haven't read them. And when I do, I am always prepared to be disappointed, and I always am. 32. I am not a good storyteller. 33. I just love being me.